I have lost count of the number of Halloween invites i received this year. I decided i didn't have time and guts to attend all of them so i narrowed down a few. I found this specific event to be particularly amusing because it is presented by Singapore Cable Car and Sentosa 4D Magix. 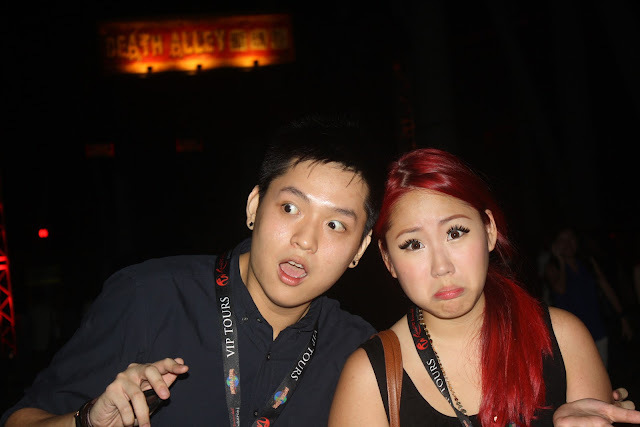 The mainstream one would be the Sentosa Spooktacular, which i think is over hyped. 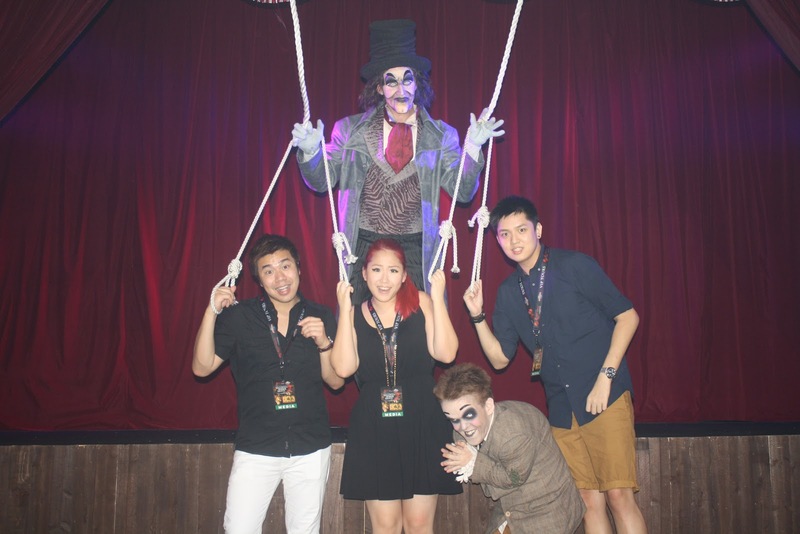 It seems that there are a few Halloween events going on at Sentosa this year, but with cable cars involved, i knew this was one i did not want to miss. 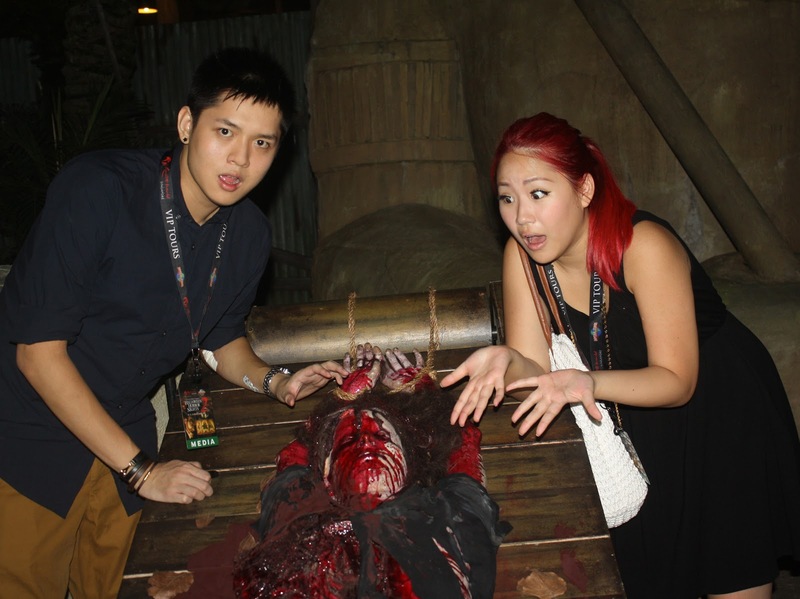 Alongside other bloggers like Qin, Jacelyn and Thiang, we managed to succumb through the horror and frights of the haunted trail. I have to admit going through this whole thing with them made it more exciting than it should have been. We were brought from Harbourfront Tower to Sentosa via Singapore Cable Car. It was a hair-raising experience for me because heights and me do not go well together, and it did not help that the view below was quite eye catching, i found myself looking down (and getting scared) half of the time. I shall not be a spoiler and reveal too much about the whole event (which is basically just a haunted trail) that seems to be never ending. The props and characters were really realistic and i could tell from the make up on the characters that a lot of effort was put in just to make the whole event better. The haunted trail isn't just about scary characters trying to scare you, it has a story line. It is about finding a women forced into a Chinese ghost marriage with a dead man. I shall not go into details, but what you can except to experience during the trail is the horrifying story of her with a walk through the haunted funeral home, ghostly marriage, creepy surgery theatre and other fright rooms. We found ourselves taking the cable car up to Mount Faber to enjoy the scenic view, and then back down to Harbourfront Centre. This time, i got used to the heights and figured the cable car is actually very safe so i pretty much enjoyed the journey all the way up, and then down. 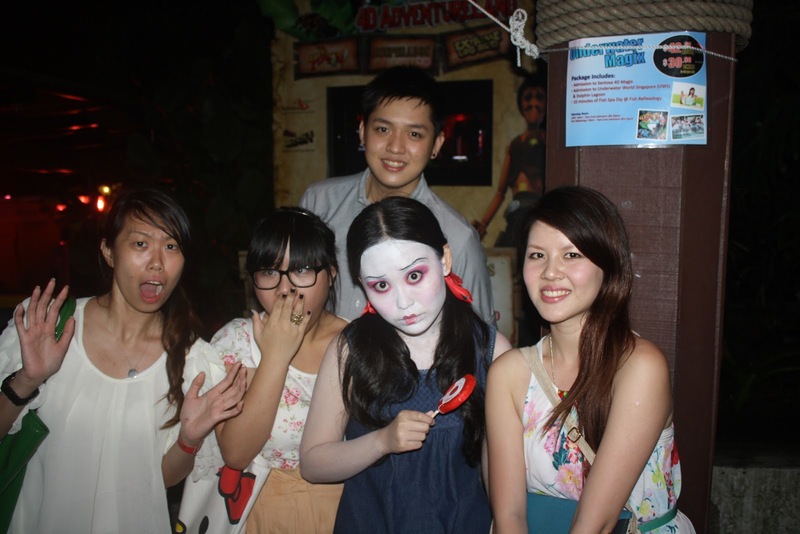 If you think you are up for the challenge (or if you just want to scare yourself for the fun of it), this event runs from from 26 October - 28 October and prices are SGD 17 (inclusive of admission to the haunted trail) and SGD 28 (inclusive of 1-way cable car ride and admission to the haunted trail). I'd pick the latter because i think one could use a therapeutic cable car ride after all the scares.